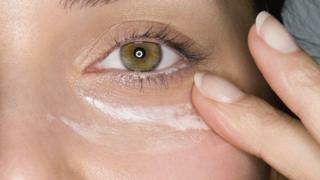 More skin is missed with moisturiser - especially the eyelids, where the skin is thin and more vulnerable to cancer. And there was 21% lower coverage of the area around the eyelids with moisturiser and 14% with sunscreen, the study in PLOS One found. These are the areas most vulnerable to skin cancer, but people were unaware they had not covered them, said Austin McCormick, study author and consultant ophthalmic and oculoplastic surgeon, from Aintree University Hospital Trust. "The eyelid skin is very thin and this puts it at risk of UV damage," he said. "The area around the eyelashes and between the eyelids and the nose is least likely to be covered." Are you applying sun cream properly? Mr McCormick said that eyelid cancers accounted for 10% of all basal cell carcinomas in the UK, the most common type of skin cancer, so people should pay particular attention to the eyelid area when putting on any SPF cream. Moisturiser may be used more sparingly because it is often expensive, sold in smaller amounts and is seen as a "precious cream", he said. "If planning prolonged sun exposure, we advise sunscreen be used. 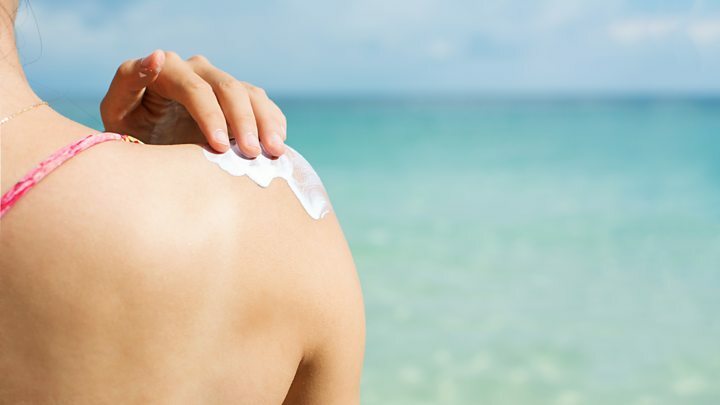 "If using moisturiser, we advise one with SPF: any SPF is better than none, but it should not be considered the equal of sunscreen," Mr McCormick said. Holly Barber, from the British Association of Dermatologists, said the formulas in SPF moisturisers were less likely to be rub-resistant and water-resistant if applied more thinly. But she said it was surprising that people were not more hesitant to apply sunscreen around the eyes - because it can make them sting. "A good way to avoid problems such as sunburn in areas missed when applying sun protection is to make use of protective clothing such as sun hats and sunglasses, as well as reapplying regularly," she said. Media captionAre you applying sun cream properly? Sunscreen is really only necessary when planning to spend half an hour or more in summer sunshine. If you are just popping out at lunchtime it is unlikely that you will need sunscreen, especially if you applied a moisturiser with SPF that morning or are in and out of the shade of buildings and trees. What are moisturisers with SPF for? They are fine for offering some protection if you are going out briefly. But if you intend spending some time outdoors, especially between April and September, then sunscreens are much more effective. Moisturisers providing SPF do not bind as well to the skin as sunscreen, and so are not intended to provide adequate protection for extended periods in the sun. Is sun protection needed all year round in the UK? In the winter months, UV protection in the UK is not necessary - except in people who are abnormally sensitive to sunlight. We all need some sun exposure, which provides us with important vitamin D.
However, this has to be balanced with the risk of skin damage in hotter months. This is not directly related to how hot it is, but to the UV index. Although this is generally higher on cloudless, hot days than on cloudy, cool days, you should not rely on temperature alone as a guide to the need for sun protection. UK heatwave: How does sunscreen work?